When I finished my faux chenille pillow, I was so excited to post about it (and kind of tired of looking at it at the same time :) ) I took pictures after just one wash. I was also kind of worried about how it was going to finish fraying, and I liked it so much the way it was, I didn't want to mess with a good thing. But...then I saw a few stray strings and started pulling, and next thing I knew, I had spent 2 hours pulling strings while I chatted with my husband and the entire pillow was completely frayed. And know what? I LOVE IT EVEN MORE!! One last (okay maybe two last) thing(s): The reason I frayed the pillow by hand is that when you use the washing machine and dryer, the cross fibers tend to get pilled and little and it keeps the fabric from fraying all the way. If I were doing a blanket or other larger project, I would just live with that, but since this was relatively small, doing it by hand let me get all the way down to just the fluff! 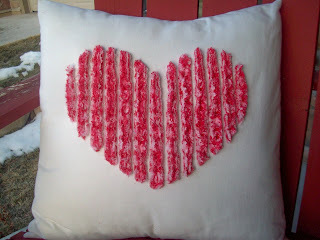 And, if you want to see all the instructions for how I made this pillow, you can do so here. linking up to Tatertots and Jello and to Under the Table and Dreaming! It is so so adorable! 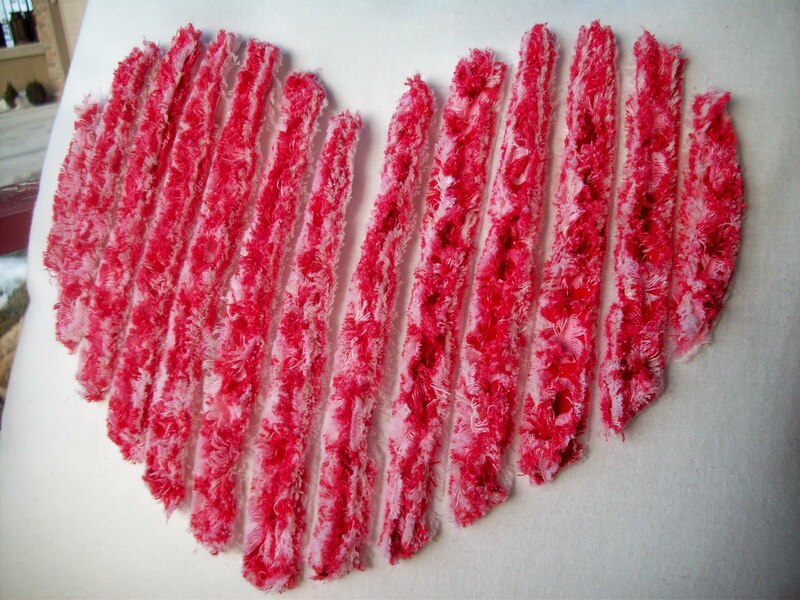 Very nice and fluffy, it really does look chenille like! What a cute idea. I love the pillow! Oh this is very cute! I love the way you frayed it! I think that would be such a fun decoration for Valentines. It makes me want to make one. :) Thanks for stopping by my blog too. This is sooo sweet!! I loved that blanket too - I think it was a great idea to do on a pillow! So cute! ~ stopping by from Tatertots and Jello! Ooo my goodness I love it! that is just so adorable! 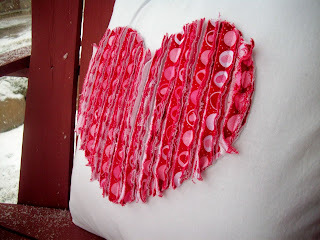 I would love for you to link up to my Sew Crafty Party! I love this pillow you made, it shows how much heart you have!!! I hope to make one as nice as yours, I'll have to share it when I'm done. Thank you so much for sharing. It is so marvelous! And I love the fraying technique. Now I'm trying to figure out when I can do it. Super cute. I'm callin' you the pillow girl this season! First of all, CONGRATS on making it onto American Crafter!!! You are going to be great! You've got this first challenge in the bag. Second of all, I love the way you write. It has really inspired me to be a little more personal on my own blog. I love it even more, too! Congrats on making it into American Crafter!!! and would love it if you’d follow me too! Love the effect! Thanks for sharing ... I'll be linking! LOVE it! Congrats on being a contestant!! I am too! 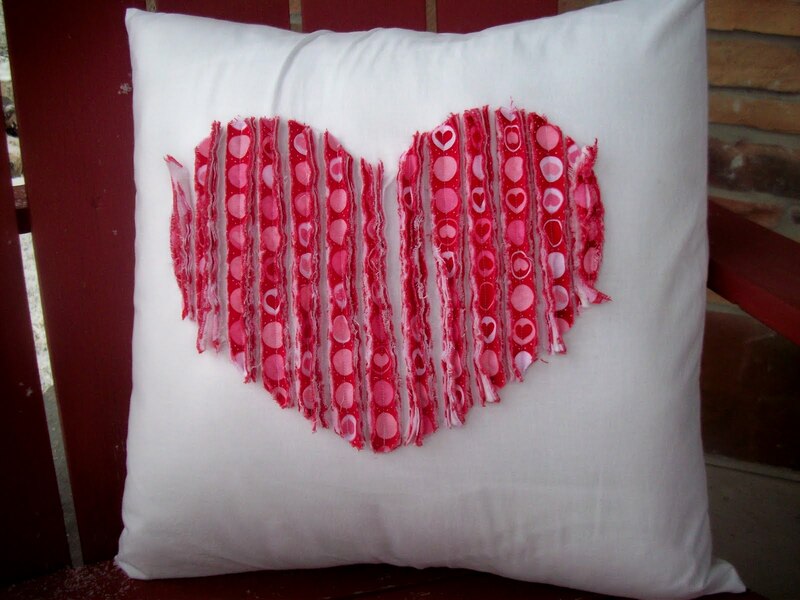 I can't wait to see how to make me some pillows!! Thanks for sharing! WoW! freakin' awesome, way to go girl! I am totally rockin this pillow. I featured you on my weekly wrap up at Spunky Junky. Feel free to stop by and grab a button. It's so fluffy I could die!! Hahhaha-this is so cute!!! Visiting from The Shabby Creek Cottage!